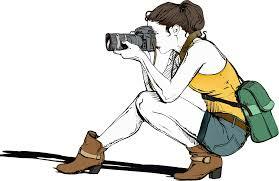 Are you an avid amatuer photographer? Maybe it’s your hobby…or maybe it’s how you make your living. It doesn’t matter…adult photographers of any skill level are welcome to enjoy this early morning opportunity to polish skills and capture images of the Capron Park Zoo collection. Adult Adventures: Photography is offered on the third Sunday of the month all season long from 8:30-10 AM. FEE: $5/person – includes coffee, fresh-made donut holes and admission to the zoo for the day.